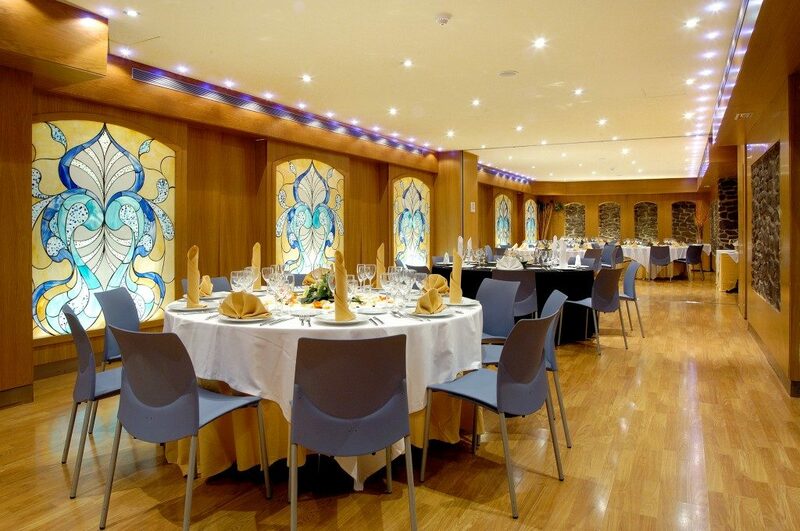 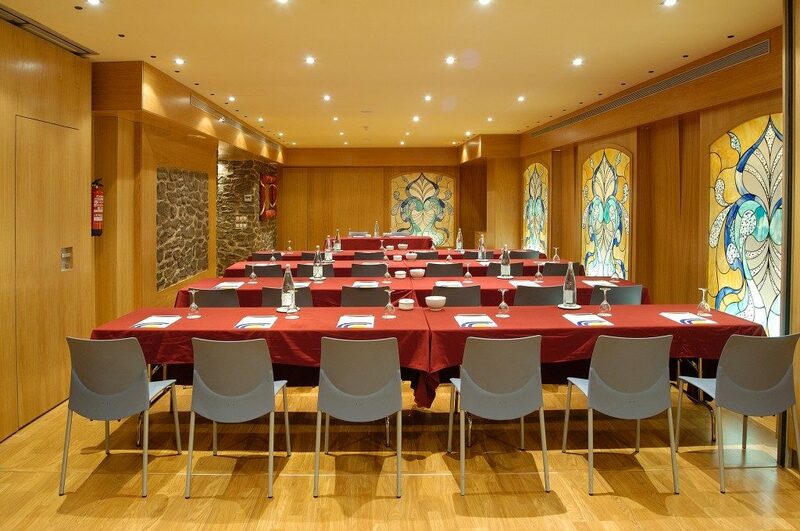 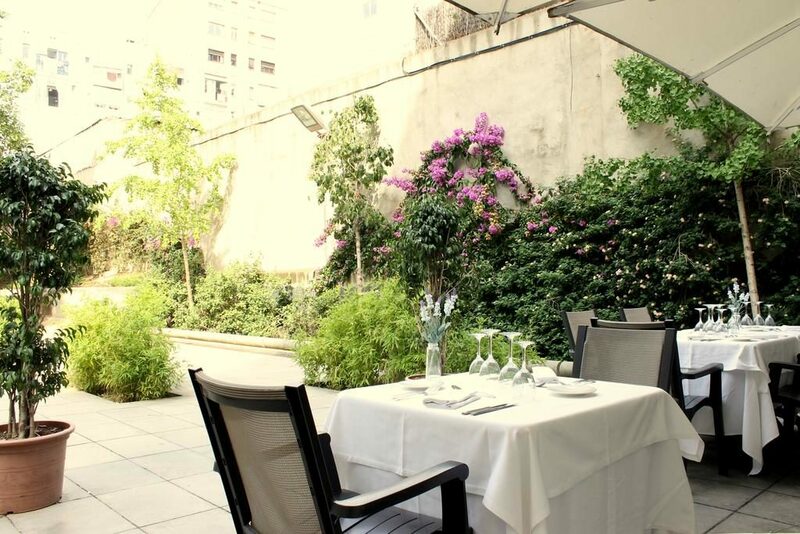 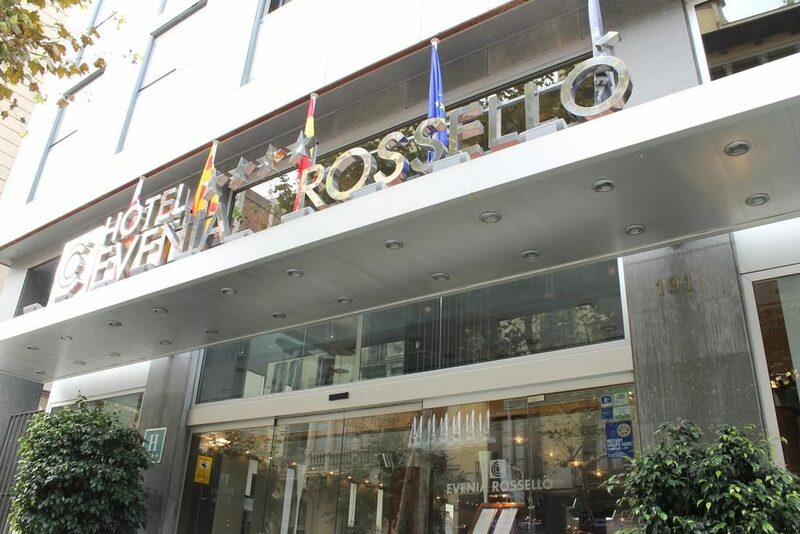 The Evenia Rosello Hotel Barcelona is a delightful hotel located in the heart of Barcelona. 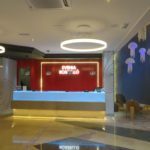 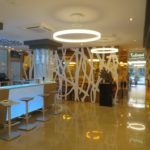 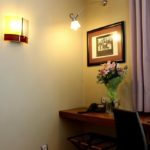 The professional, courteous and friendly hotel staff will be more than happy to make sure your stay is as comfortable and pleasant as possible. 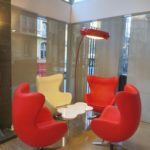 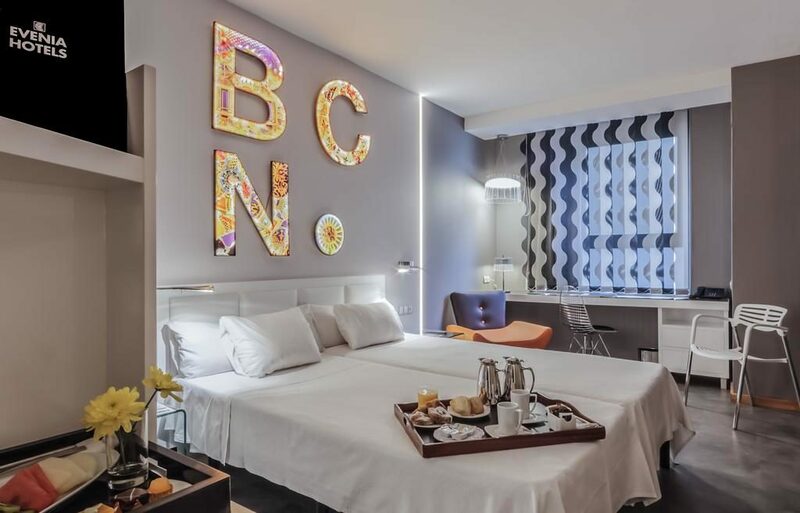 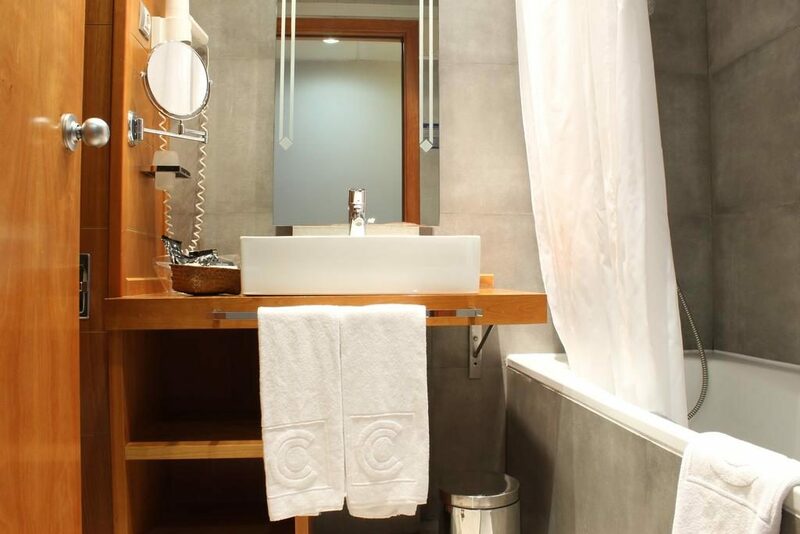 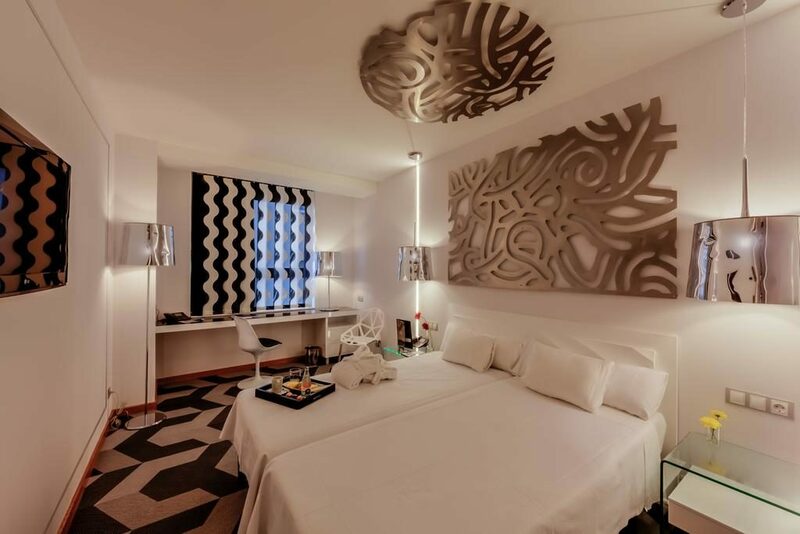 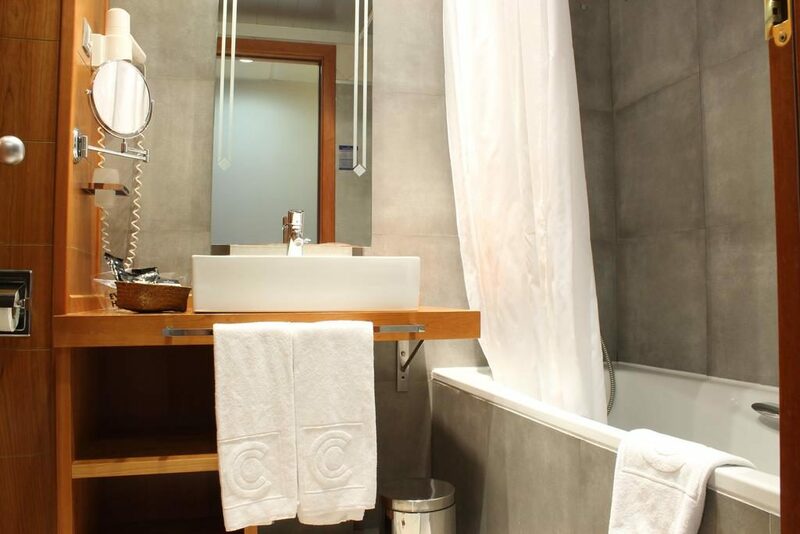 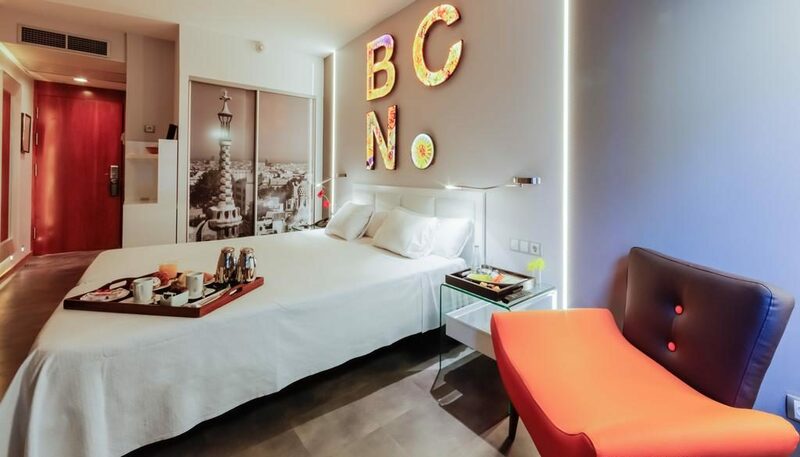 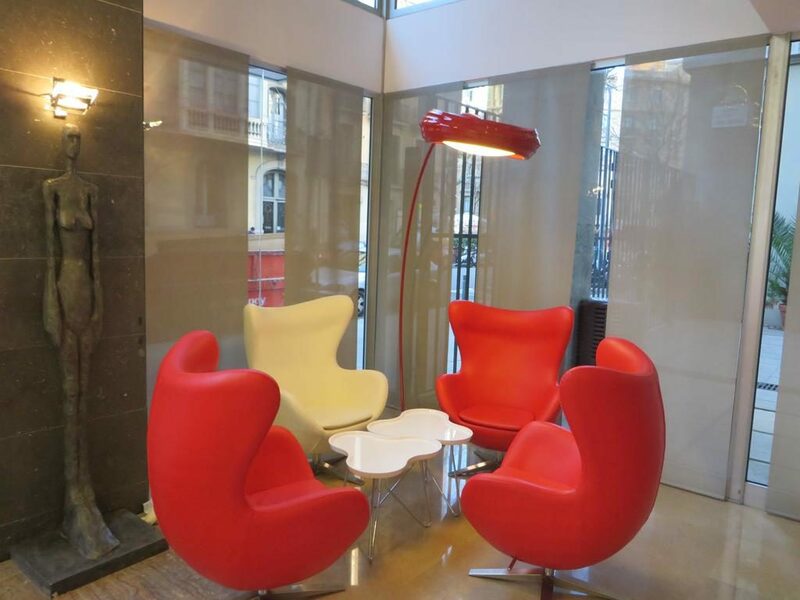 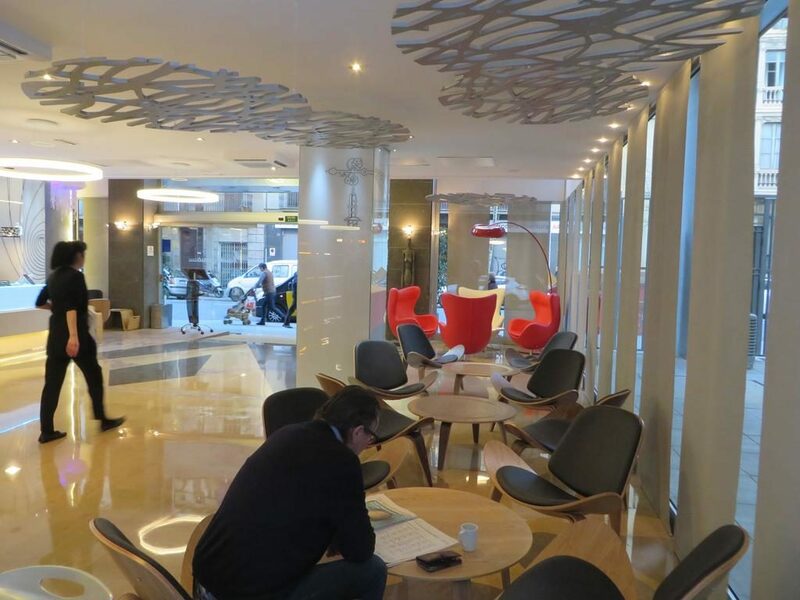 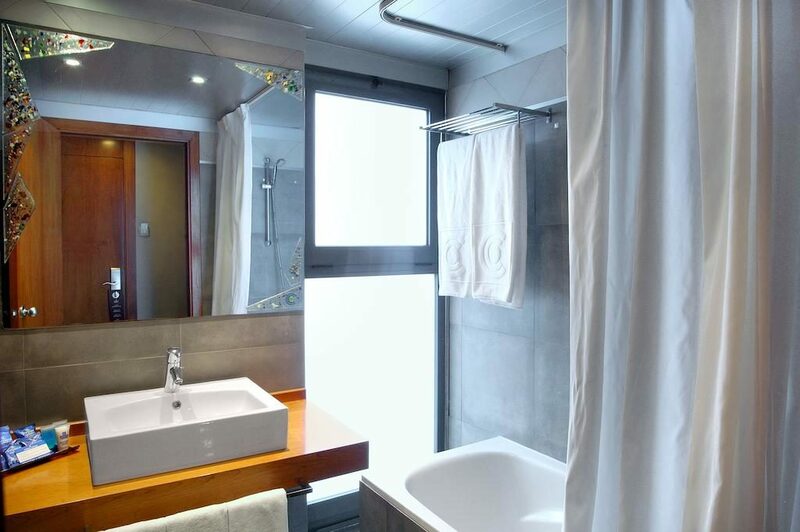 An ideal location with direct access to the airport and just 5 minutes away from the old town and the shopping and cultural areas by public transport, this central Barcelona hotel will prove to be an ideal base from which to explore all that this Catalan city has to offer. 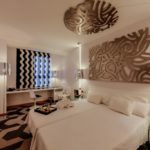 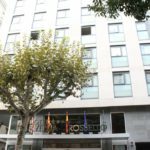 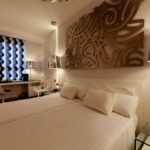 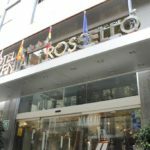 The Evenia Rossello Hotel has 94 comfortable rooms in Barcelona, all with views over Rossello street or Joan Brossa Park. 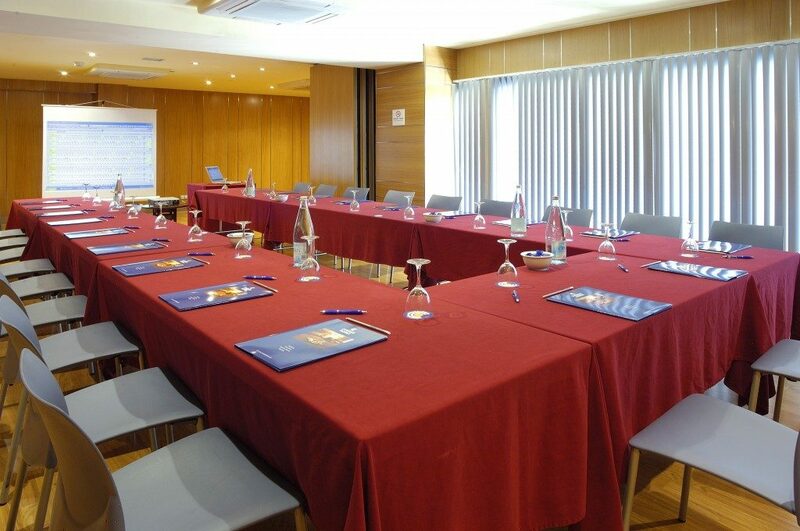 Our hotel is located in a quiet area in the Eixample district. 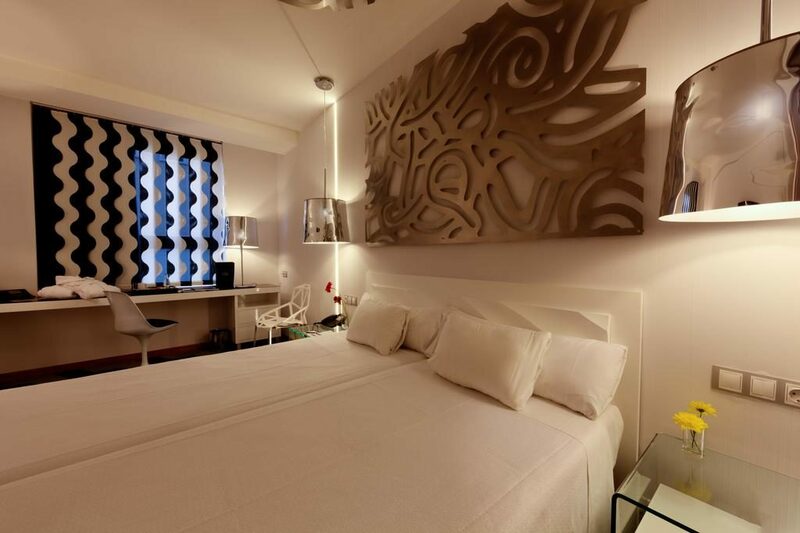 All Evenia Rossello rooms are equipped with all kind of amenities as individually controlled air conditioning, telephone, high speed Internet access wired and wireless (free of charge), flat screen TV 32″, safe and desk… these are some of the comforts you will find in our hotel. 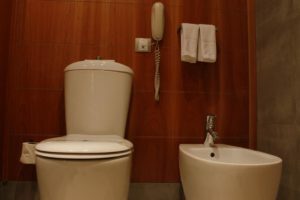 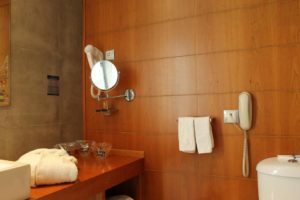 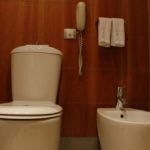 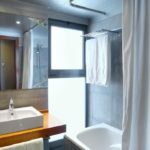 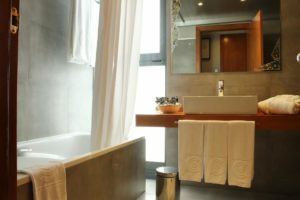 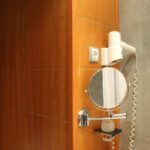 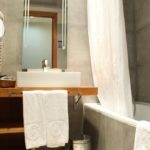 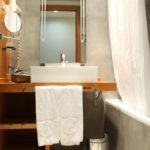 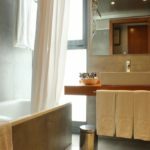 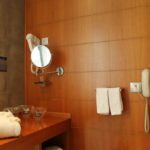 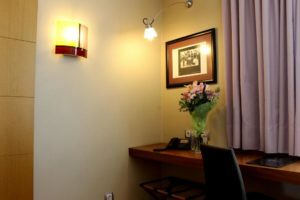 Moreover, all our rooms have a large bathroom with hairdryer, bath or shower, magnifying mirror, telephone and amenities to complete your wellness and comfort of rooms. 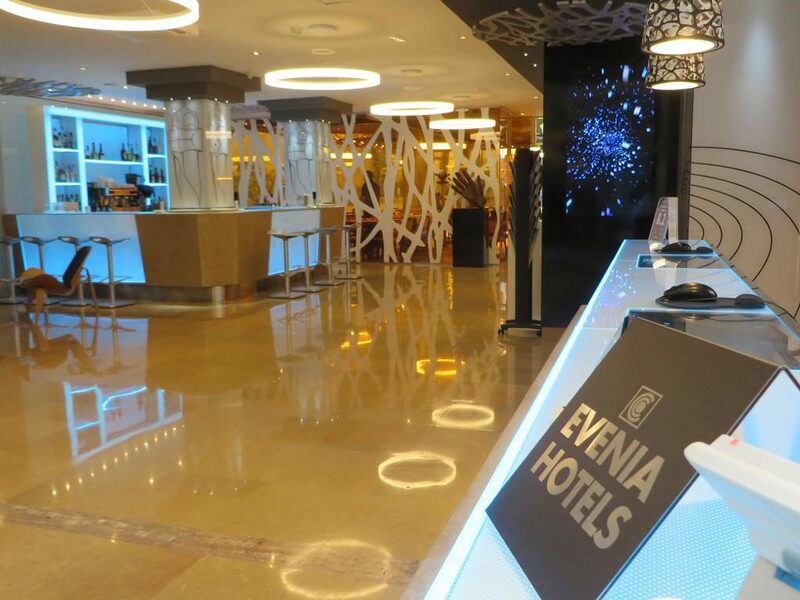 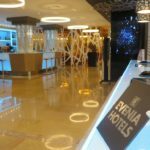 Evenia Rossello Hotel offers 4 types of rooms, where our customers will enjoy a nice and pleasant stay. 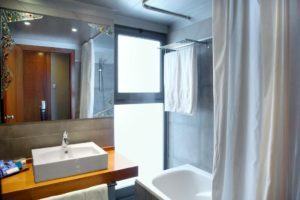 In addition, it also has a fully adapted rooms for disabled. All Evenia Rossello rooms in Barcelona have a modern style and have been designed exclusively for your wellness. All our rooms are spacious and you will find all kind of amenities to make you a pleasant stay. 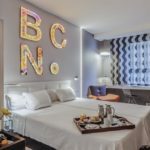 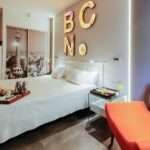 Are you searching for a Hotel in Barcelona with half board? 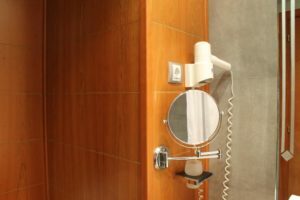 Yes, it is possible. 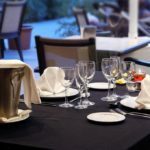 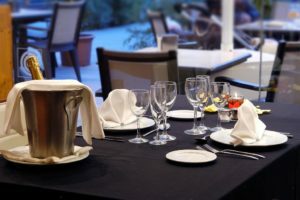 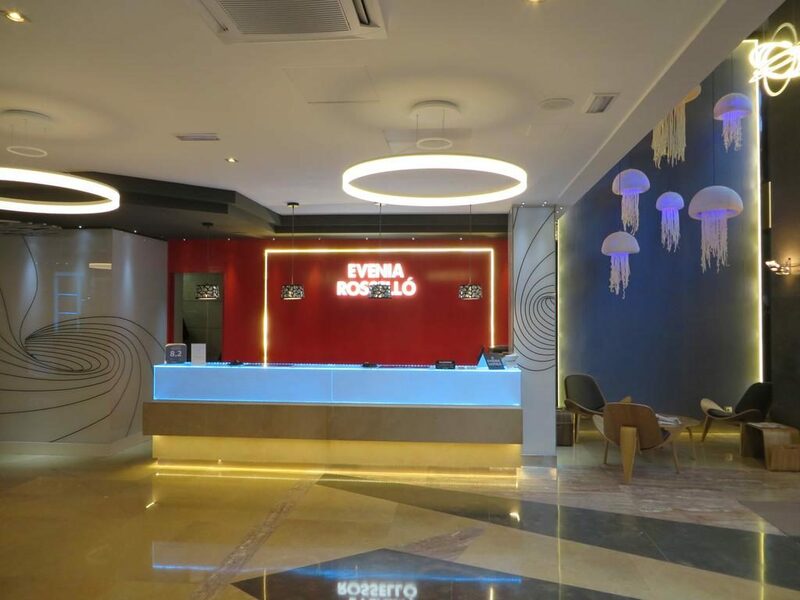 Our Evenia Rossello Hotel offers its guests the possibility to include in their stay a half board service, providing an added value at their booking in Barcelona. 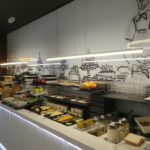 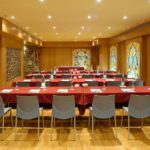 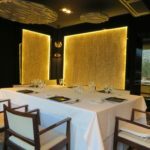 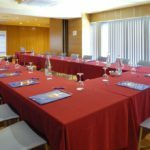 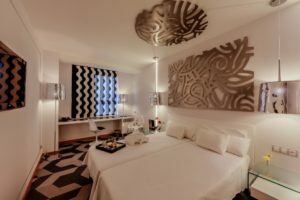 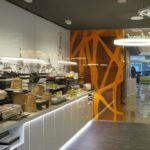 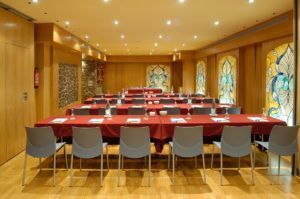 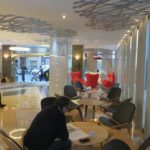 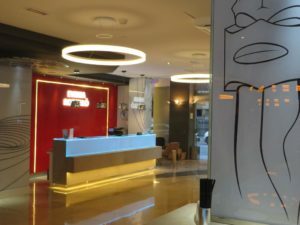 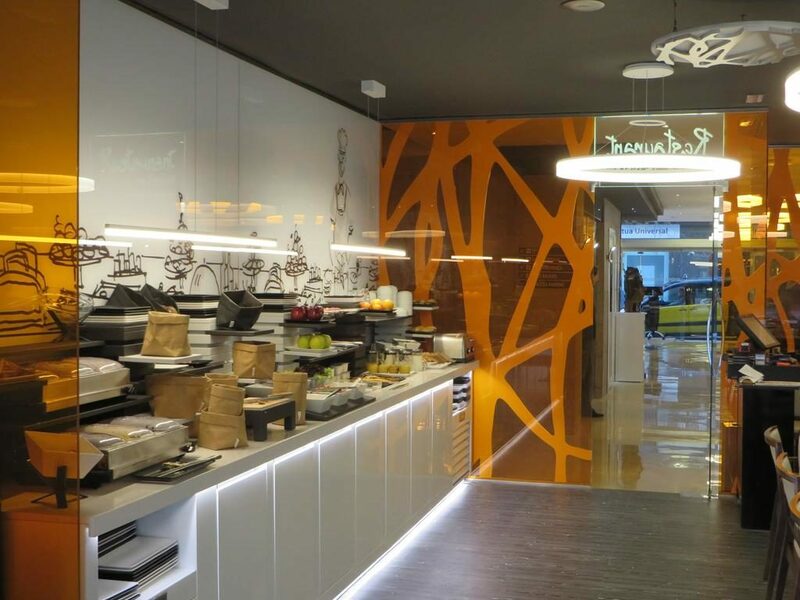 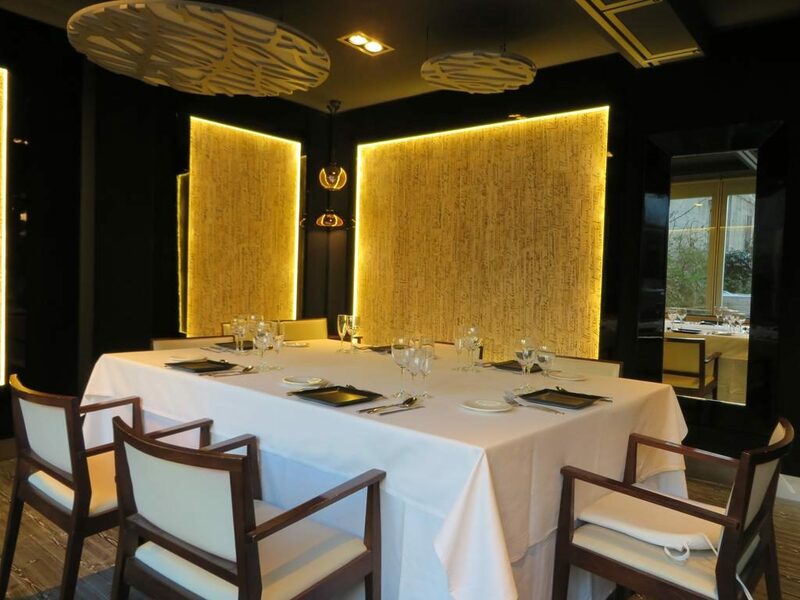 The Half board includes the accommodation in our hotel in Barcelona city center, the breakfast and the possibility to choose between lunch or dinner. 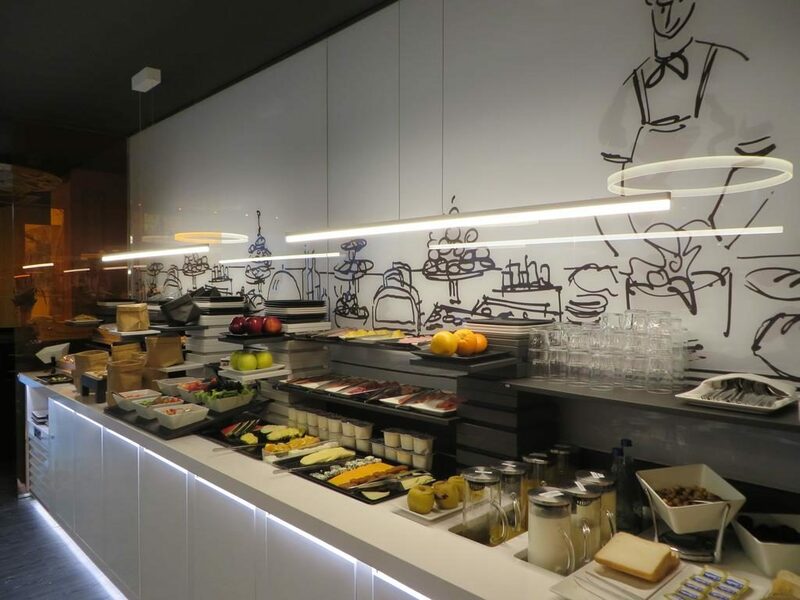 The breakfast takes place on the ground floor of the hotel and it is served from 7:30 to 10:30 on work days and until 11am on weekends. 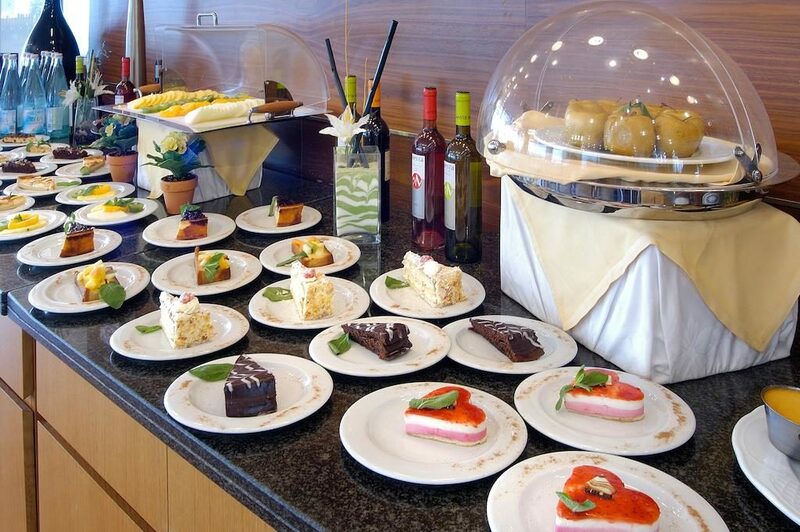 The breakfast is a buffet style and includes a wide selection of food. Continental breakfast. 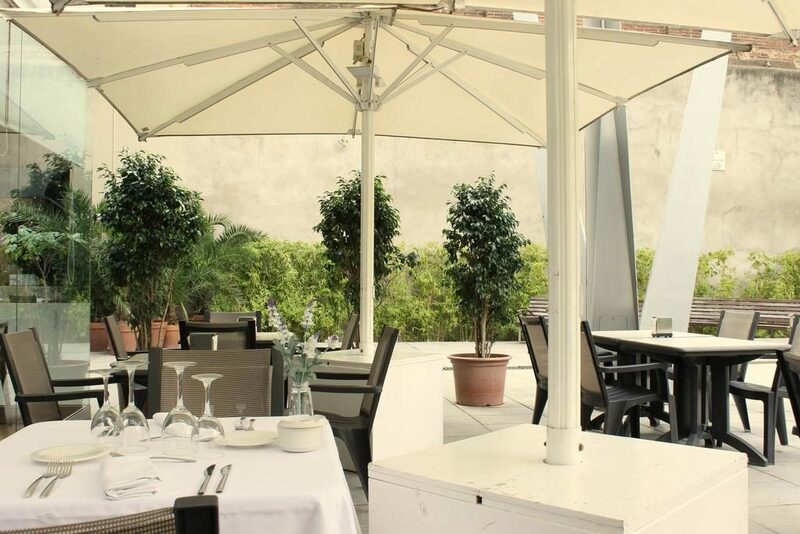 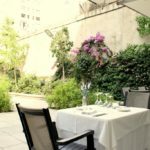 In the months of spring and summer you can take advantage of our terrace and have breakfast outside. 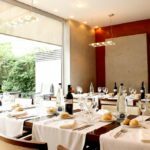 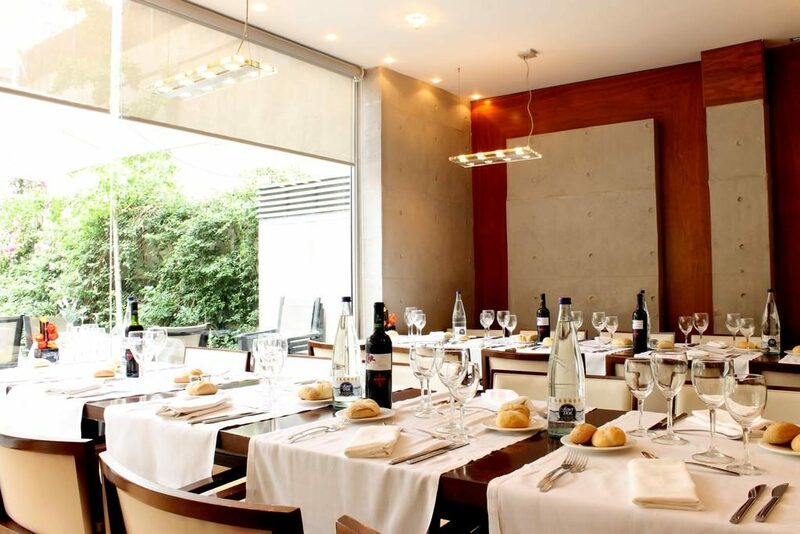 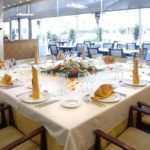 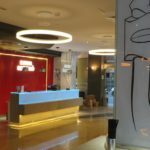 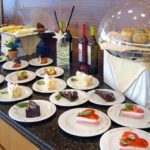 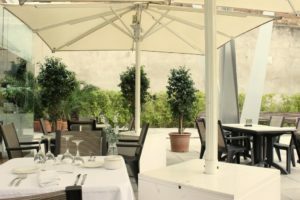 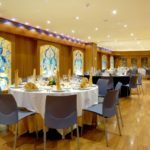 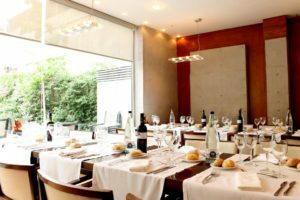 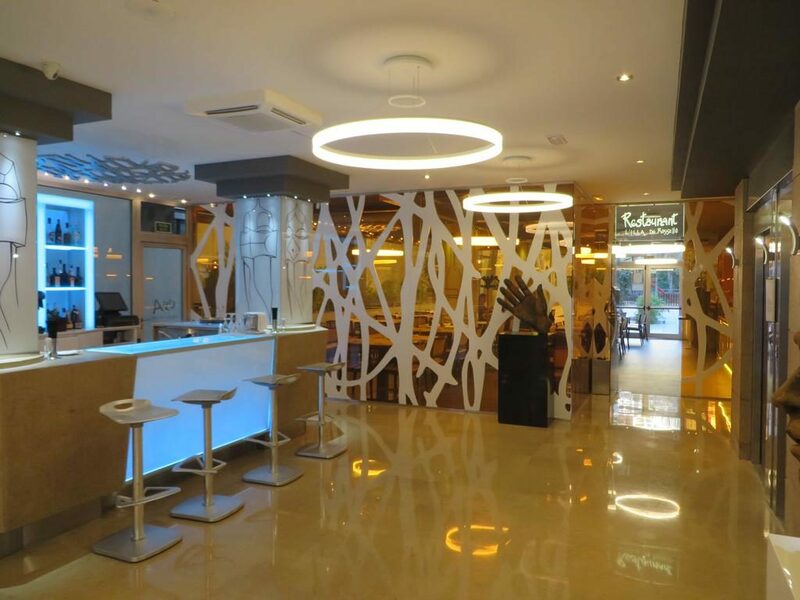 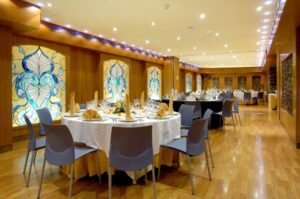 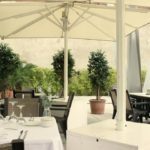 The lunch or dinner will be served at the L’Illa de Rossello restaurant, which is located inside the Evenia Rossello Hotel. 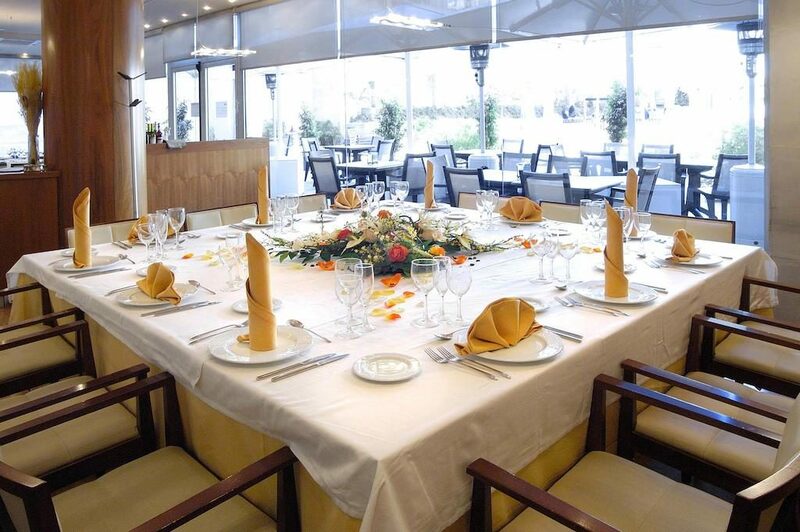 L’Illa de Rossello restaurant has a traditional Mediterranean cuisine based on seasonal products. 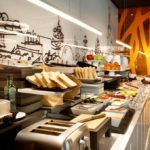 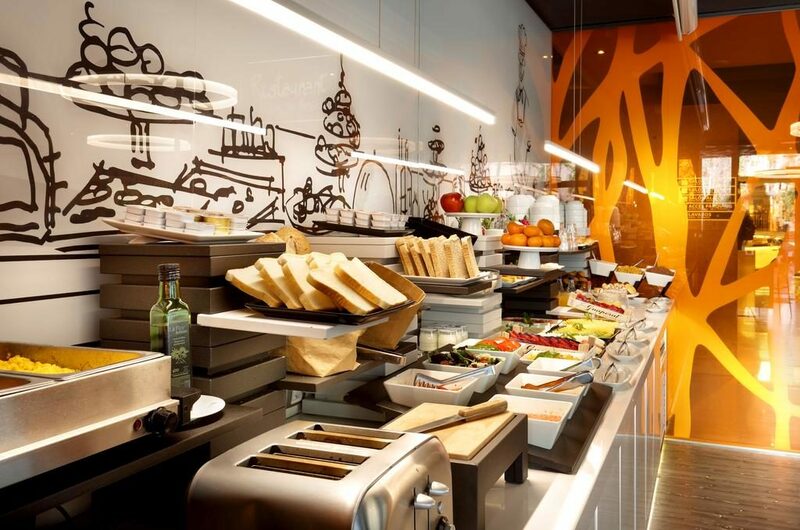 In our Hotel in Barcelona with half board you can choose from three different starters, three main courses and a wide selection of desserts. 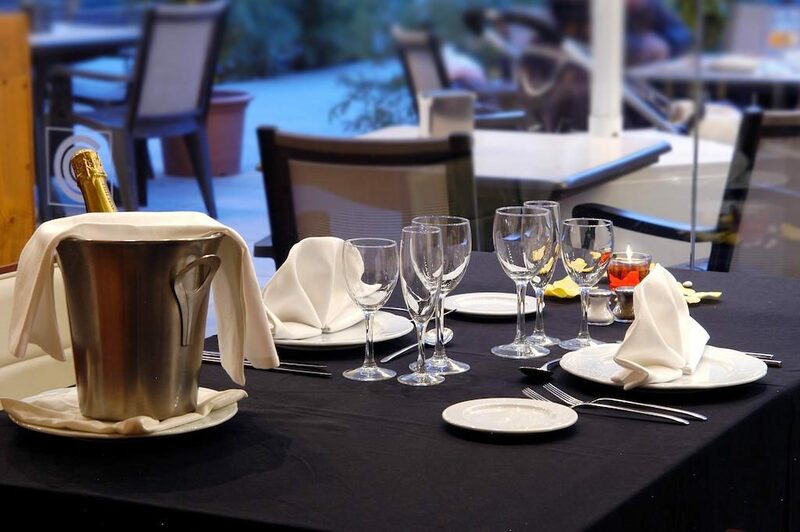 We can also provide specific menus or gluten-free products. 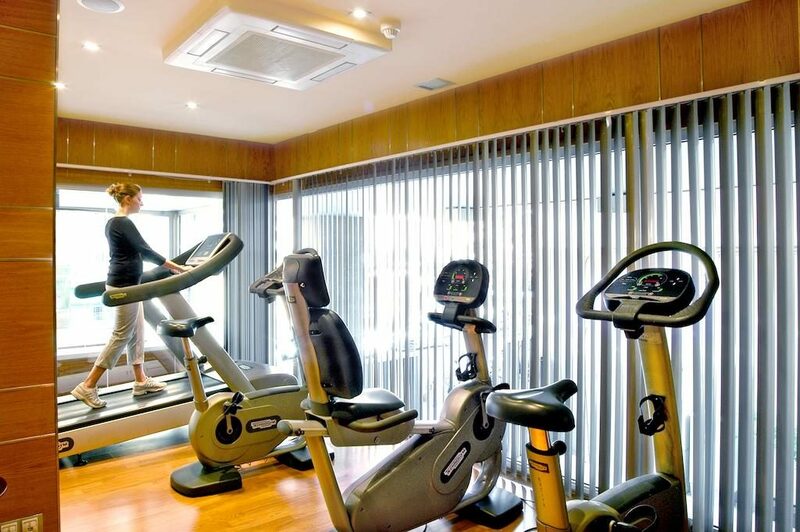 Evenia Rossello Hotel has a gym in the first floor of the establishment with excellent views to the street. Do you think there is a better way to start the morning than doing a little bit of exercise? 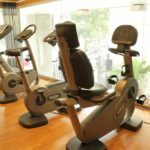 For this reason, the Evenia Rossello Hotel offers its guests the chance to do some exercise at your convenience and without any additional cost to the customer. 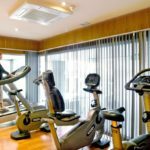 To find a hotel in Barcelona with a gym could be a little bit difficult especially if we are looking for a hotel in Barcelona center. The Evenia Rossello gym is for tourists who come to visit and enjoy the city and for those people who came to Barcelona for business. 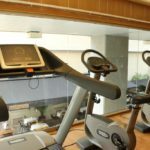 We all know what difficult could be to take a daily workout routine at the gym and how easy it can be to lose it, in this sense our Evenia Rossello Hotel gives you the chance to work out during your stay at the hotel. 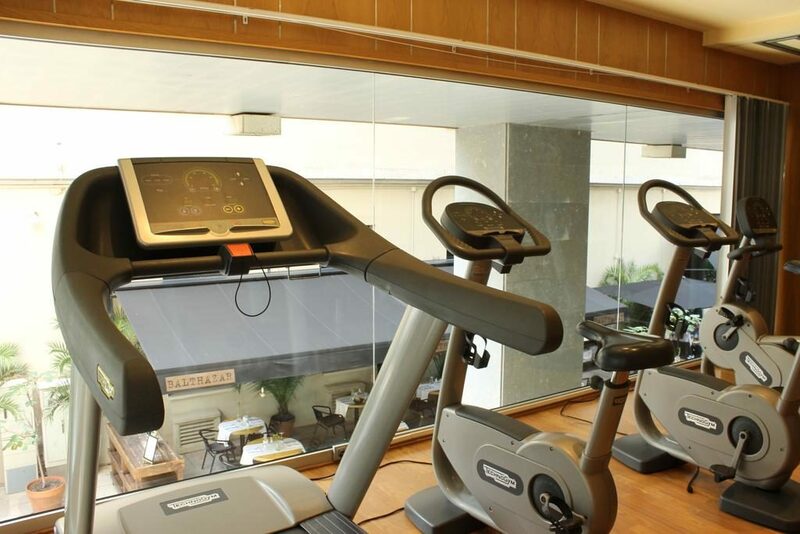 You will find everything you need to do some exercise or to de-stress after a long meeting. 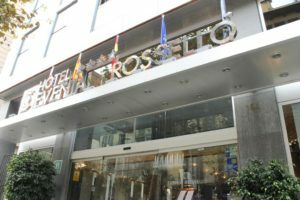 It’s not easy to find a Hotel in Barcelona gym in the center of Barcelona and with a quality price as high as in the Evenia Rossello Hotel. Because of its climate and the excellent network of cycle paths, Barcelona is the perfect city for sightseeing by bike. 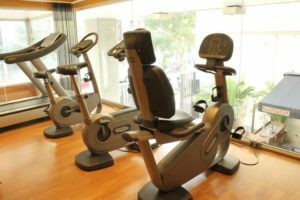 Because you can find bikes for rent at the hotel reception Evenia Rossello, you can explore the whole city from top to bottom in a few minutes without worrying about traffic or public transport. The bike lovers in Barcelona will find the ideal place to enjoy their hobby and hang time to enjoy the city: visit the Ramblas, walk the Barceloneta beach or explore the main tourist routes of the city becomes a unique and different from tourism in Barcelona thanks to spread bicycle lanes throughout the city. 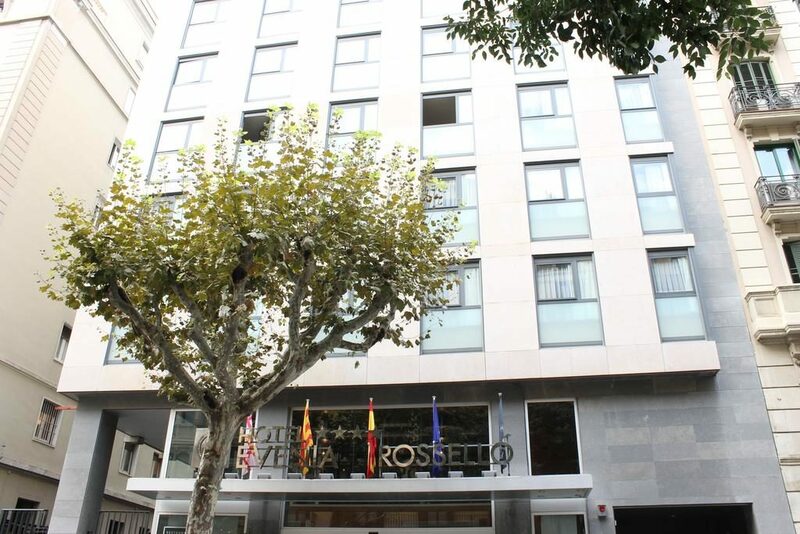 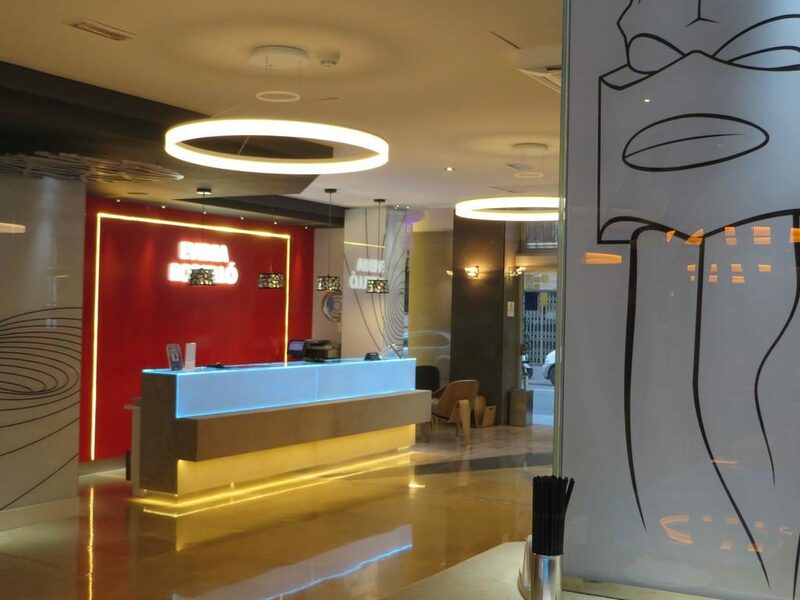 Evenia Rossello Hotel offers its guests a bicycle rental service and the reception staff will help you plan your Barcelona tourist itineraries for cycling.